Right on cue, Apple has issued invitations for a media event to be held September 9. The gathering will take place at the Flint Center for the Performing Arts at De Anza College in Cupertino which just so happens to be the same venue Steve Jobs used to introduce the first Mac 30 years ago. The Yerba Buena Center for the Arts, where Apple typically holds media events, has a listed capacity of 757. The Flint Center, in comparison, seats just over 2,400 people. Unlike previous invites, Apple doesn't really give us much to work with this time around. 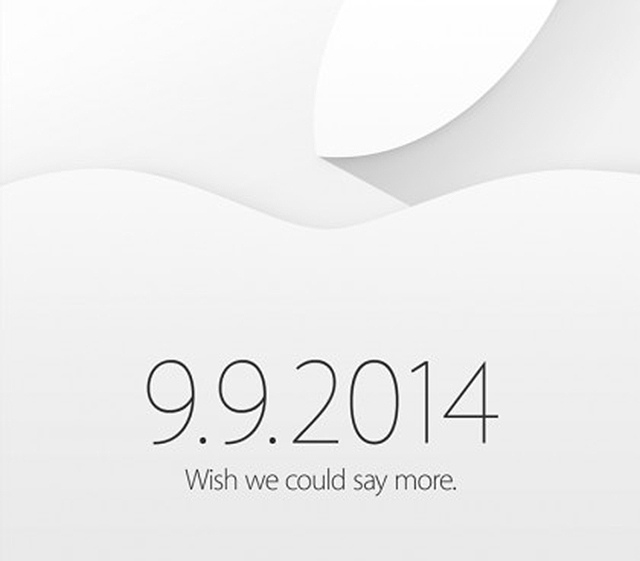 The tagline for the invitation simply reads, "Wish we could say more" which is written below the date with a silhouette of Apple's logo in the background. In related news, Apple is building a massive structure on the campus where the event will take place. According to a report from Mac Rumors, the structure looks to be about three stories tall and is protected by multiple security guards. When asked what was going on, administrators said they aren't at liberty to discuss it due to client wishes. Any bets on what Apple might be building and for what purpose? Given the venue change and mysterious structure, it's clear that Apple is planning a huge reveal. Most expect we will get our first official look at the iPhone 6 and perhaps the long-rumored iWatch.